Thank you I was looking for a darker logon screen to download and now thanks to you I got one woohoo. Renato, I can't get this to load into logon studio, and I never had a problem with any other logon, does it have the right extension? Bryan, to be honest with you, i don't know if I did the right thing, I just made one logon theme before and it was a long time ago. I think Voodoo is right I just siped the real logon thing. boxxi i have the same problem but i dont know whats wrong. i want this logon so bad i have the whole swt except this! I just wish it came in a 1024x768 version as well... am I missing something or is it only 1280x1024? Other than that - I just LOVE the whole suite! Very nice skin, but I would like to see the feature that allows you to keep it on top. I don't see that on this skin. I rarely use skins that don't have the top feature. Great work, from top to bottom this is tight. It looks like I am not the only one hoping that the login issue gets fixed. 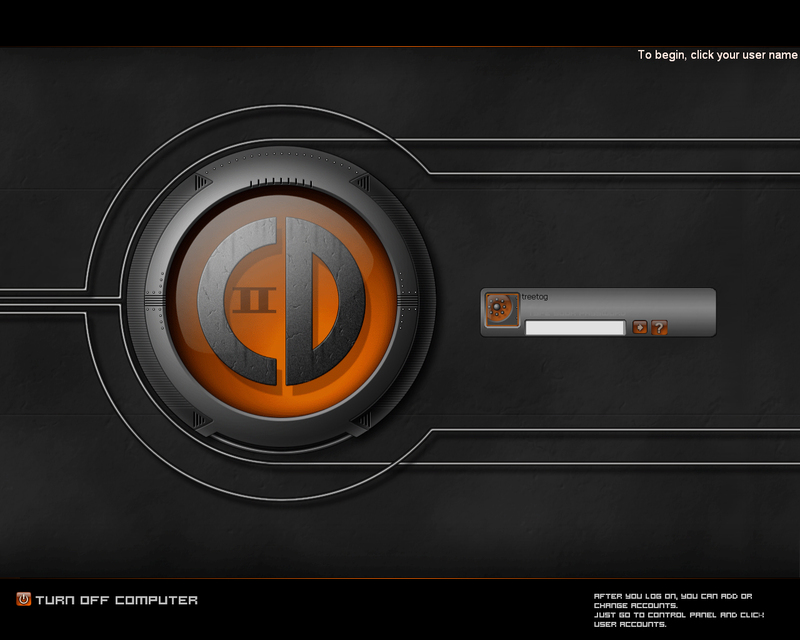 I am getting only one file copperDeck_II-logon.logonxp and that is not a file i can unzip as far as I can tell. I have dragged the file into the studio but it won't accept it, when i choose to use it. Any ideas? open logonstudio,press on "Load",select the copperdeck_II file from the Copperdeck-logo folder.then select "all files" in "Types"
Now Copperdeck_II should appear in the "available logos". Thanks for the great skin. nice skin.. are you going to make it in 1024x768? keep up the good work.